Delight in the formal grace of a grand New England-style yacht club at this lakeside hotel. Relax in the inviting elegance of a plush lobby replete with nautical touches, explore the whimsical Stormalong Bay and rent a variety of watercraft from Bayside Marina. Sharing many amenities with its pastel-toned sister, Disney’s Beach Club Resort, Disney’s Yacht Club Resort is walking distance to Epcot and a convenient boat ride to Disney’s Hollywood Studios. Beginning in fall 2019, this new gondola system will offer a bird’s-eye view as it whisks you and your family away to Epcot and Disney’s Hollywood Studios. Discover a life-size shipwreck, pools, lagoons and more at Stormalong Bay—a 3-acre water wonderland. Climb the mast and zip down one of the highest hotel waterslides at Walt Disney World Resort. Catch currents on an inner tube in the lazy river, unwind in one of 3 whirlpool spas and relax on the elevated tanning deck. Children can wade into the main pool from a gentle slope and splash about in 2 kiddie pools—including one with a miniature waterslide. Prefer a more tranquil experience? Explore 3 all-ages quiet pools—each with a whirlpool spa—located throughout Disney’s Yacht & Beach Club Resorts. Learn more about recreation at Disney’s Yacht Club Resort. Savor mouthwatering steaks, seafood and more at this sophisticated, family-friendly restaurant. Enjoy a workout or indulge in a massage at this full-service fitness center. Bring your pampered pooch to stay with you at Disney’s Yacht Club Resort. Here at Walt Disney World Resort, we know that dogs aren’t simply pets—they’re members of your family. And since family is at the heart of everything we do, for a limited time, your furry friends are welcome to join you at select Disney Resort hotels. Let the tail wagging commence! Note: Limit 2 dogs per room. Restrictions and fees apply. To bring your dog along on your upcoming visit, please call (407) 939-7539. Guests under 18 years of age must have parent or guardian permission to call. During your stay, Best Friends Pet Care can provide assistance with day care and other pet services (fees apply). For details, please call (877) 4-WDW-PETS or (877) 493-9738, or visit bestfriendspetcare.com. Guests under 18 years of age must have parent or guardian permission to call. Some restrictions on certain pets may apply. Before you arrive, be sure to download the official dog policy PDF. Consider booking a Disney Deluxe Villa with just-like-home amenities like a kitchen, washer, dryer and private bedrooms. When you stay at Disney’s Beach Club Villas, you’ll enjoy the same benefits offered at Disney’s Yacht Club Resort—along with spacious Disney Deluxe Villa accommodations. It’s an outstanding home base for your Walt Disney World vacation. 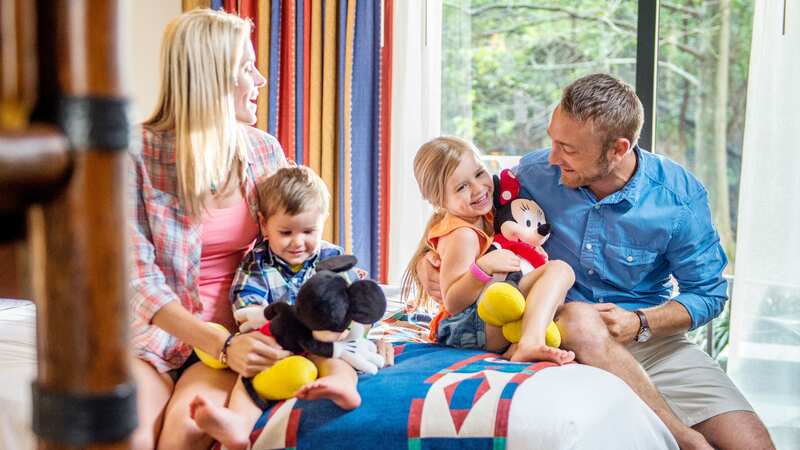 Disney’s Beach Club Villas and other Disney Deluxe Villa Resorts offer accommodations with just-like-home touches that go beyond the traditional hotel room. A little more than you need? 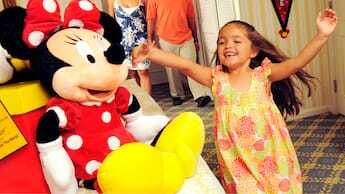 Disney Deluxe Villa Resorts also feature Deluxe Studios, which feature a kitchenette and sleeper sofa—a great option for smaller travel parties and shorter stays. Check availability and nightly rates at Disney’s Beach Club Villas. Wine-lovers, rejoice! Sip and swirl your way through some of the world’s most renowned wine-growing regions—no passport required. The Yachtsman Steakhouse invites Guests to explore the wonderful world of wine every second Wednesday of the month. Sample the liquid legacies of some of the finest appellations and vineyards throughout California, Italy, France, Chile, Australia and more—and learn about their flavor profiles, winemaking techniques, and soil and climate conditions. This engaging class also includes a small tasting plate paired to go with the selected wine offerings. The cost is $45 per person and the wine tasting begins at 3 PM on the second Wednesday of each month. Guests interested in attending can call Disney Dining at (407) WDW-DINE. All Attendees must be 21 or over with valid ID; no discounts accepted. Additional per adult charges may apply if more than 2 adults per room. Let us know when you would like to check in and check out. If you increase your travel party, you may need to update your room reservation to accommodate your new party size.